The Reading Room is Ballarat High School Library's review blog. Find lots of reviews and information about events in the library. The Graphic Shelf is Ballarat High School Library's review blog specifically for Graphic Novels. Find lots of reviews and information about events in the library. Inside a Dog is a place for teen readers and the home of Inky, the reading wonder-dog. Find reviews, interviews, news and even create your own book clubs. ​Enter a book you like and the site will analyse a huge database of real readers' favorite books to provide book recommendations and suggestions for what to read next. Ballarat High School Library's eBook collection. Search Ballarat High School Library's catalogue to find books, DVDs and websites to start your research. Central Highlands Libraries offers a range of eResources for the Central Highlands community. To access any of the ebooks, audiobooks or newspaper databases below, follow the links and sign in with your Central Highlands Libraries card. If you do not have a Central Highlands Libraries card, you can sign up for one HERE. 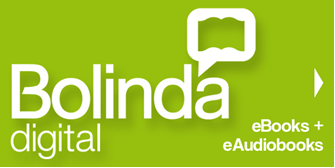 Bolinda BorrowBox is a vast library of eBooks and audiobooks available to download to your computer or mobile device. Sign in with your Central Highlands Library card. Download the iPad app here. OverDrive is a vast library of eBooks and audiobooks available to download to your computer or mobile device. RB Digital allows you to browse through complete issues of your favourite magazines on your PC, Mac, iPhone, iPad or Android device. Create your free account today and sign in with your Central Highlands Library card. Cloud Library is a growing library of eBooks available for download to your computer or mobile device. ​Sign in with your Central Highlands Library card. Press Display provides over 1,700 newspapers from 95 countries around the world in over 50 different languages. Sign in with your Central Highlands Library card to use Press Display on your computer, iPad/tablet, iPhone/Android phone. Click HERE to join the Central Highlands Libraries.